You have a head for numbers and logic, and are considering trying your hand at writing code, what road to go down, php, C, C# or Java and these days everyone needs some basic html. Rather than there being one single type of code for computer programmers around the world to use, there are now literally hundreds of different languages used in the IT industry, presenting a dilemma if you’re a beginner and want to know which one is best to learn for starters. Generally speaking, the best language for you depends on what you want to learn programming for. For instance, do you want to learn how to make your own Apps? Are you a gamer keen to get more involved with an online community? Do you want to build websites? Whatever your end goal, there’s an ideal starter language for you, though be warned that mastering programming takes a significant amount of time and dedication. Given that most website developers cut their teeth making their own WordPress sites, PHP may be the ideal way to begin as a developer. As the main language of the blogging platform, it’s both easy to learn and ideal for seeing how lines of code can change the look and functionality of a site. A good knowledge of PHP can open a large number of job opportunities up for you, particularly in the field of website design and development. PHP is, however, a relatively basic language with limited applications, so if you do want to progress in IT, you will need to push your programming skills forward. By some distance one of the most-popular coding languages across the world, C is also one of the most useful if you’re keen to embark on a career in web design, programming and development. As a standardised, general-purpose programming language, C is a useful foundation for more-complicated languages. If you’ve got your sights set on a career with Microsoft, then you’ll need to be an expert in C#. Essentially an evolved hybrid of C and C++, C# is a fundamental part of Microsoft’s .Net framework, meaning it’s used extensively in software development across a wide range of applications, though in particular for the development of Office Suite and the Windows operating system. Another main advantage of learning Java is that, since it’s relatively mainstream, there are loads of books, websites and online tutorials available to help you learn, while a solid working knowledge of the language will also help you in your quest for paid work. 1.There are hundreds of different coding languages out there, meaning it may be hard to decide which one to learn first. 2. Generally speaking, the best language for you depends on what you want to learn programming for. 3.That is, the language used for developing apps is different to that used for building websites. 4.For many programmers, PHP is the best introduction to coding, with this language allowing you to build your first website through WordPress. 5.C is also a massively-popular language among both beginner and experienced programmers. 6. C# is a very useful language to learn if you want to work with Microsoft products. Given that most website developers cut their teeth making their own WordPress sites, PHP may be the ideal way to begin as a developer. As the main language of the blogging platform, it’s both easy to learn and ideal for seeing how lines of code can change the look and functionality of a site. A good knowledge of PHP can open a large number of job opportunities up for you, particularly in the field of website design and development. PHP is, however, a relatively basic language with limited applications, so if you do want to progress in IT, you will need to push your programming skills forward. By some distance one of the most-popular coding languages across the world, C is also one of the most useful if you’re keen to embark on a career in web design, programming and development. If you’ve got your sights set on a career with Microsoft, then you’ll need to be an expert in C#. Essentially an evolved hybrid of C and C++, C# is a fundamental part of Microsoft’s .Net framework, meaning it’s used extensively in software development across a wide range of applications, though in particular for the development of Office Suite and the Windows operating system. Plus, it’s simple, easy to learn and widely-used by corporate and public sector organisations, meaning if you master it your chances of employment are good. 1. There are hundreds of different coding languages out there, meaning it may be hard to decide which one to learn first. 3. That is, the language used for developing apps is different to that used for building websites. 4. For many programmers, PHP is the best introduction to coding, with this language allowing you to build your first website through WordPress. 5. C is also a massively-popular language among both beginner and experienced programmers. 6.C# is a very useful language to learn if you want to work with Microsoft products. Mastered your first coding language? And fancy a job as Web Developer? Then read our career guide ""Web Developer Job" or have a look at other IT career guides we have written. 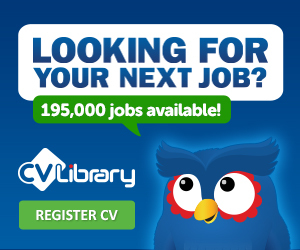 Alternativley search for your coding job with us or get some advice from your local JobCentre, we have every location for you to find your closest. Please share this article on any social networks you belong too, or leave a comment below on how we could improve this article.